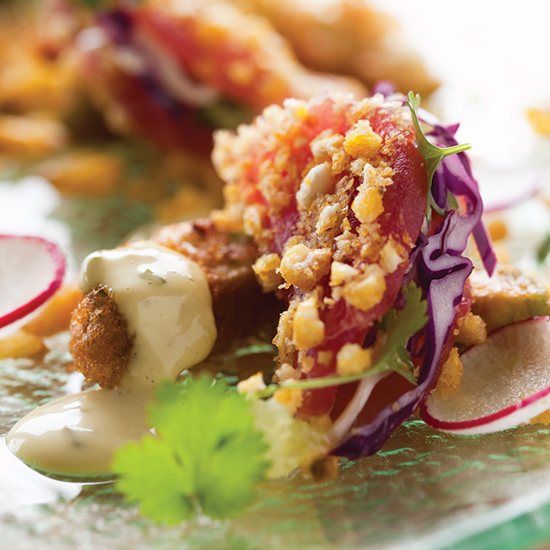 At George’s at the Cove in San Diego, chef Trey Foshee deconstructs the classic fish taco. "In Mexico, the fish is usually breaded and fried, and served in a corn tortilla with cabbage, sauces and salsa fresco," he says. "My recipe breaks down each element and turns it into an inside-out fish taco with fried avocado and corn nuts."